Just add waterbrush. – Leigh Reyes. My Life As a Verb. 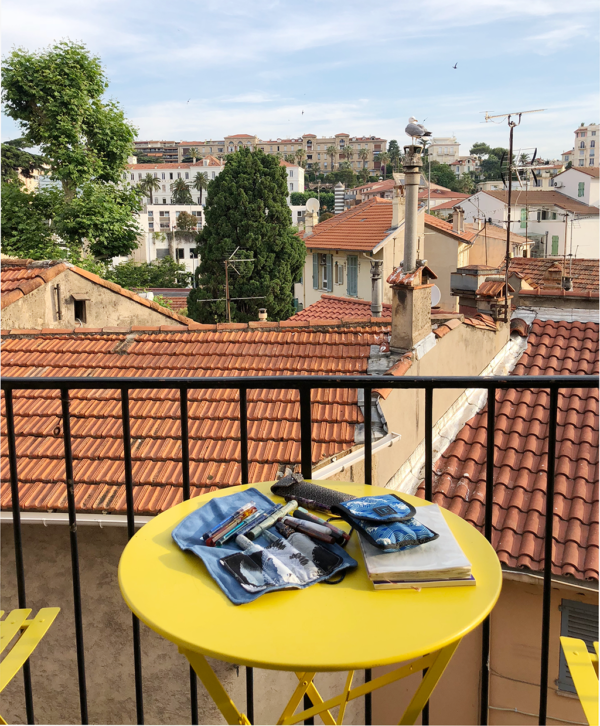 Waterbrushes – brushes whose handles hold water – have made it possible for travelers and commuters to sketch and wash on the go with hardly any mess or fuss. 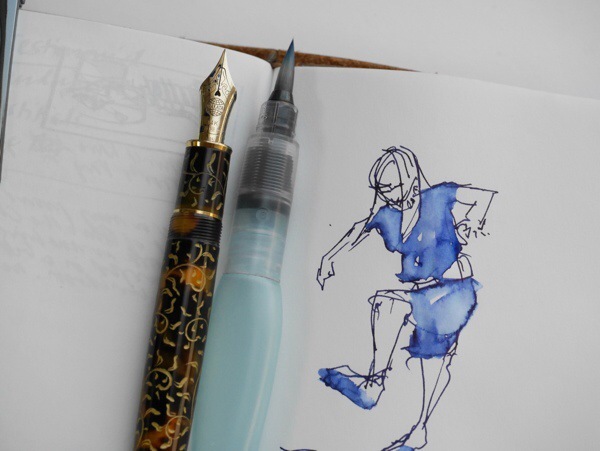 Fountain pen doodlers will find that a waterbrush or two in the bag can extend their enjoyment, adding wash to their line work. 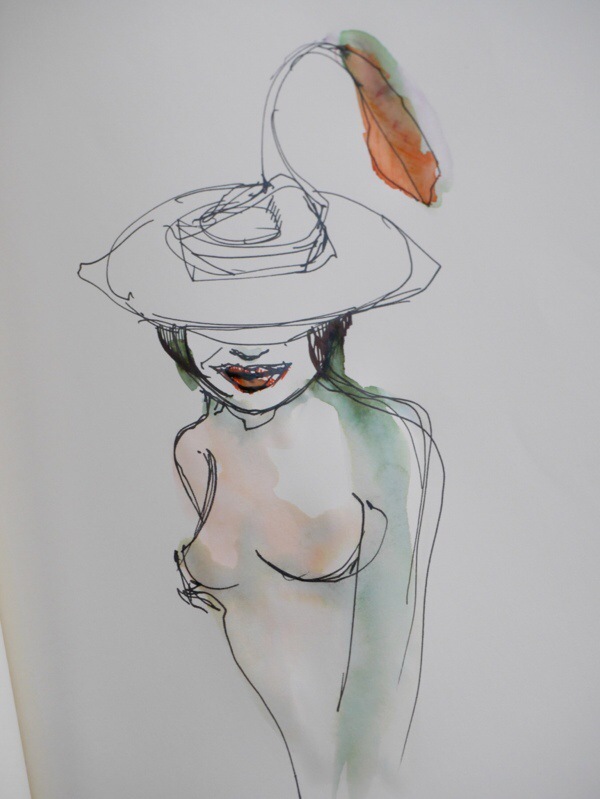 Most fountain pen inks, unless otherwise asserted, are watersoluble and lift easily from the paper. Here, I touched the tip of the waterbrush to the outlines and dragged the brush inward to fill the spaces. 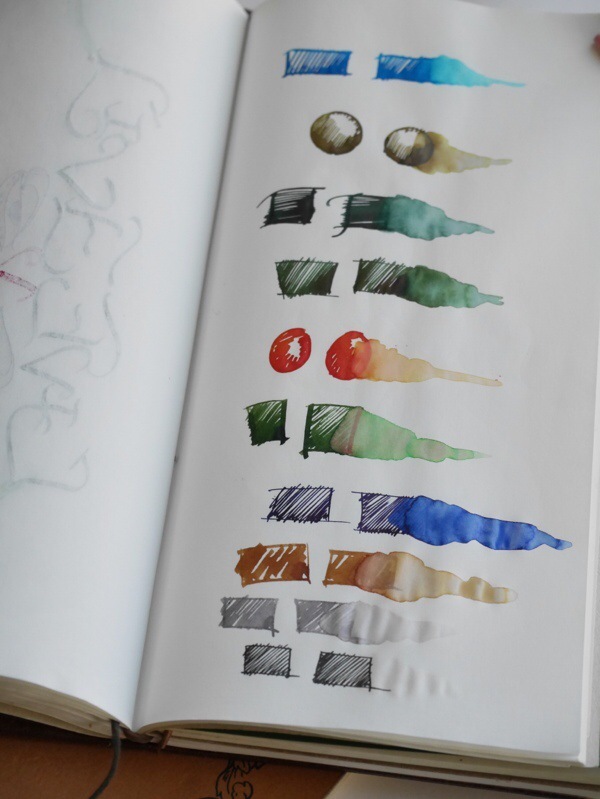 You can also layer scribbles with different ink colors and blend right on the paper. Here, I “scrubbed” a portion that had orange ink, lifted some of the color and transferred it to other parts of the drawing. The black outlines are Platinum Carbon Black, which is waterproof. It can accept ink washes on top without blurring. 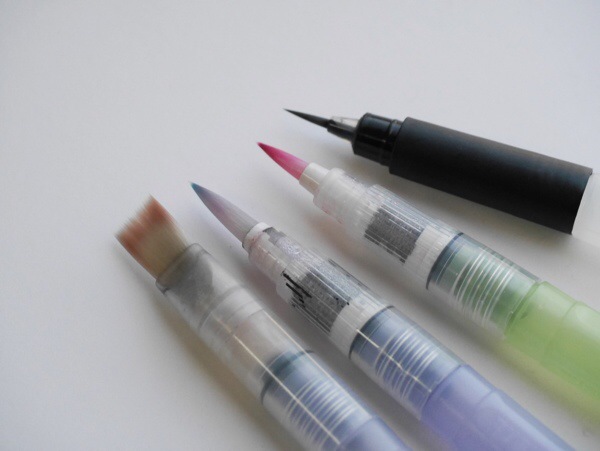 Waterbrushes come in several tip sizes and under many brand names. I am most familiar with the Pentel Aquash. It comes in broad, medium, and fine tips, as well as a portable size with a shorter handle. 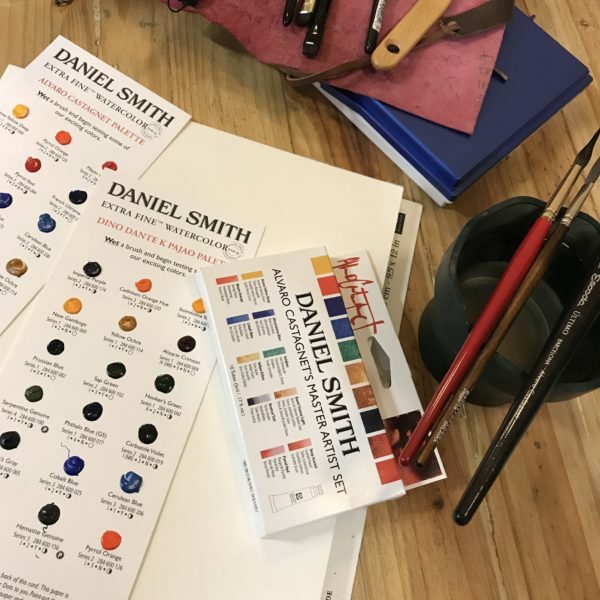 Other brands are Holbein, Zig, even Derwent. The chisel style lends itself very well to calligraphy. 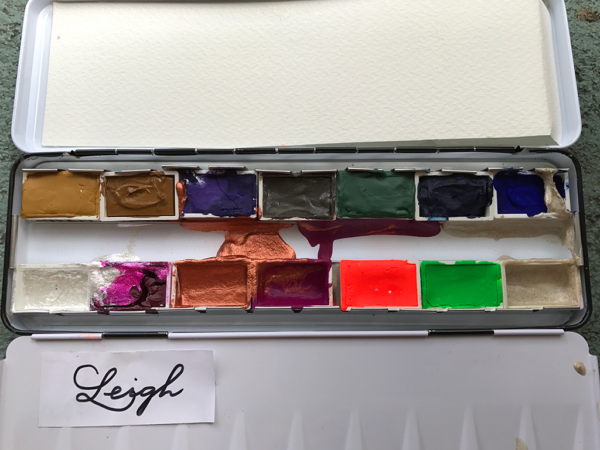 Here are several inks that I’ve brushed with water to see how they behave. Pilot fuyu-syogun is surprisingly water-resistant. Private Reserve Avacado leaves a hint of red (!). 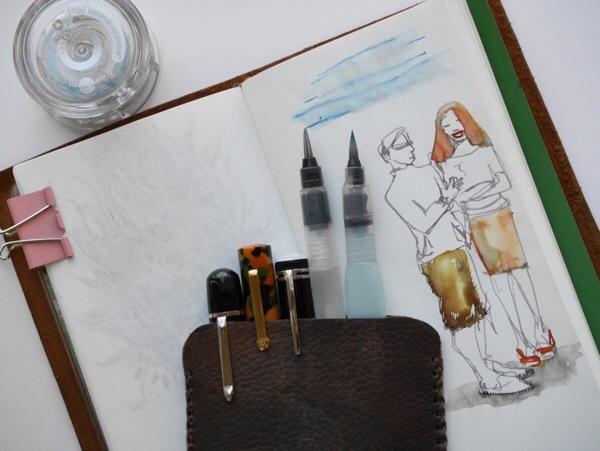 Remember, most fountain pen inks aren’t lightfast, so the brilliance of these washes will only live on inside your journals and sketchbooks, away from the sun.